Like most people who might consider themselves "the creative type," I love stationary. I love cards, notepads, postcards, thank you notes, all of it. Hence, when I found my way to Rifle Paper Co. yesterday I nearly lost my mind. This Florida-based paper company was founded by a husband and wife duo who started out running the operation from their 1-bedroom apartment. 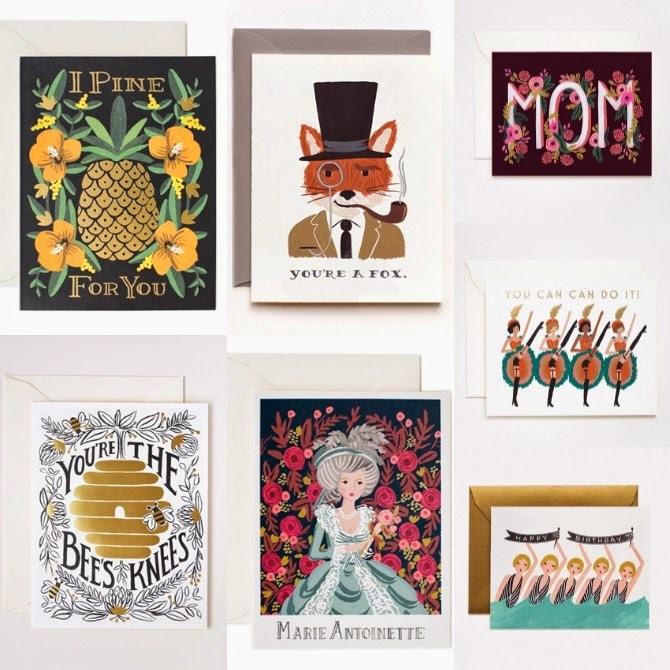 Anyway, take a moment and browse around Rifle Paper Co's site, and I dare you not to feel inspired to send a belated birthday card or a "just because" note to someone you love. Oh—and you must check out their Instagram account, it is seriously delightful.